Commission is charged for opening and closing positions on Stock CFDs. It varies depending on the Stock Exchange - the lowest fee is 0.1% of the position volume. For the U.S. stocks the commission is equal to $0.02 per 1 stock. You can find more detailed information on commissions paid when trading CFDs on stocks in the Commission Table. There are no minimum deposit amount for NetTradeX Beginner and MetaTrader 4, 5 Micro accounts. For Standard account in NetTradeX it is $1000. For Standard account in MetaTrader 4 and MetaTrader 5 - $1000 for US dollar accounts, €1000 for Euro accounts and ¥100 000 for Japanese yen accounts. MetaTrader 5 – Micro-Floating and Standard-Floating accounts. In NetTradeX trading-analytical platform volumes are set in units of the base currency or asset, while in MetaTrader 4 and MetaTrader 5 it is set in lots. For more information about minimum and maximum trading volumes see the Trading Volumes for NetTradeX, MetaTrader 4 and MetaTrader 5 trading platforms. For MetaTrader 4 and MetaTrader 5 accounts the leverage for trading Stock CFDs is always 1:40 (margin 2.5%). For NetTradeX accounts the leverage for trading Stock CFDs equals 1:40 if the account leverage is 1:40 or higher, or equals the account leverage if it is less than 1:40. For MetaTrader 4 and MetaTrader 5 accounts the leverage for trading Commodity CFDs is always 1:40 (margin 2.5%). For Continuous Commodity CFDs the leverage equals the account leverage. You can open accounts in US Dollar, Euro and Japanese Yen in MetaTrader 4, MetaTrader 5 and NetTradeX platforms. You can have only one account of a particular type. Type is determined by the following parameters: Real/Demo, trading platform, account type (Beginner, Micro, Standard Fixed/Floating), currency, netting/hedged. E.g. you can not open two real USD Nettradex Beginner Fixed accounts, but you can open Real NetTradeX Standard Fixed USD account and Real NetTradeX Beginner Fixed USD account. All in all you can open 6 MT4 real accounts, 6 MT5 real accounts and 12 Nettradex real accounts. You need to provide us with: Passport, or Driving License or any other Identity document and proof of address not older than 6 months. It could be clear photo or a color scan. After authorizing your profile you will be able to perform bank card deposits and bank wire withdrawals. You need to specify your address which can be associated with any of your personal payments via documents - so – called billing address. Usually in Forex market 1:100 is the most optimal leverage for trading. No, we do not provide trading signals. But clients with MT4 or MT5 accounts may use trading signals within the overall service of Metaquotes. Yes, IFC Markets offers a free demo account for NetTradeX, MetaTrader 4 and MetaTrader 5 trading platforms. Demo accounts do not expire. If you cannot find an instrument in the "Market watch" window, please, go to the context menu of that window or to the "Trade"section in the main menu and select "Instruments". In the opened window to the right, choose the group of instruments you are interested in "All Instruments" and drag the selected instruments to the left to "In Use" with the arrow or the mouse.Learn more about this in the User's Guide in thе «List of financial instruments». You can learn more about this in the User's Guide in the Opening new charts»section. Where can I find my account balance and trading history in MetaTrader 4 and MetaTrader 5? You can see your account balance in the "Trade" tab of the "Terminal" window. Trading history can be seen by clicking on the “Account History” ("History" for MetaTrader 5) tab in the same window. You can also customize the history timeframes and get reports by right clicking on any line in your "Account History" tab ("History"). What is the difference and which platform to choose: NetTradeX, MetaTrader 4 or MetaTrader 5? NetTradeX, MetaTrader 4 and MetaTrader 5 platforms have both identical and different features. You can compare these platforms and choose the one that fits your trading requirements. Yes, you can. We provide Program trading for NetTradeX, MetaTrader 4 and 5. NetTradeX trading platform has a complimentary trading terminal which allows users to automate trading through the built in language NTL+. You can download the terminal from our website. On MetaTrader 4 there is an opportunity to automate the trade and technical analysis with the help of integrated programming language MQL4. On MetaTrader 5 there is an opportunity to automate the trade and technical analysis with the help of built-in, object-oriented programming language MQL5. You can find more information about automated trading in our Program Trading section. Currency pairs, precious metals, continuous Index and Commodity CFDs, CFDs on US, German, English, Russian, Australian, Japanese and Chinese stocks, Gold instruments are equally available on both platforms. CFDs on Commodity Futures are also available on MetaTrader 4 and 5 platforms. An opportunity to create personal composite instruments (PCIs) and to use such instruments from PCI library is realized also on NetTradeX platform. How can I place a pending order on MetaTrader 4, 5? 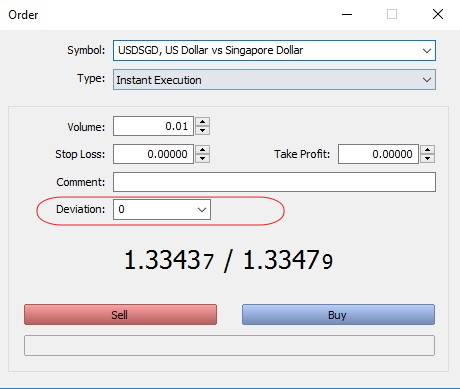 How can I modify or delete a pending order in MetaTrader 4, 5? How can I add additional instruments to the “Market Watch” window in MetaTrader 4, 5? How can I open a new chart window in MetaTrader 4, 5? Click on “Create a New Chart” button on the toolbar. 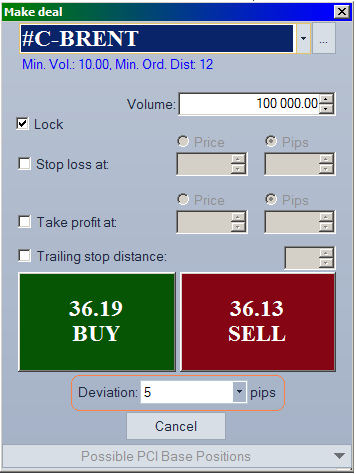 How can I reduce the volume of my open position in MetaTrader 4, 5? For MT5 it is done almost the same - right-click on your open position in “Trade” window, choose “Modify or Delete” from the context menu. In the opened window set type to “Instant Execution” then set volume size you want to close and click “Close” button. What server name should I use in the mobile terminals MetaTrader 4, 5 for iOS and Android? IFC Markets offers wide range of available deposit options. You can find deposit methods here. You can find withdrawal methods here. Please note that withdrawal method should coincide with deposit method. Yes, you can withdraw funds to your credit card in case the funds were deposited by the same card. In case of technical issue with withdrawing funds to credit card, funds will be withdrawn to your bank account. Before making a deposit with your banking card you need to authorize your profile. After authorizing you will be able to add your banking card to your profile and pass card verification by control amount and providing us with your banking card color scans. For security purposes, IFC Markets recommends covering all digits except the last 4 on the front of the card. The last 3 digits on the back of the card must be covered as well (IFC Markets does not require the CVV/CVC code). If your profile is not authorized, you will need to authorize it. For this purpose you will need to provide the scan of your passport or any other Identity Document and a proof of your address not older than 6 months. You can make deposit and withdrawal requests 24/7, but it will be performed during the working hours of the Back Office (from Monday to Friday 07:00 AM to 07:00 PM (CET). Usually withdrawal requests are processed during several minutes during the working hours of the Back Office (from Monday to Friday 07:00 AM to 07:00 PM (CET). But we reserve up to 2 business days to process a withdrawal request in case of some difficulties. Back office works from Monday to Friday 07:00 AM to 07:00 PM (CET). For opening a trading account from your Profile you need to go to “Accounts” tab and choose “Open a new account” function. Next, fill out the form of opening an account, where you will mention the kind of the account (real/demo), the platform (NetTradeX/MetaTrader 4/MetaTrader 5), account type, leverage and account balance currency. In the main menu of MetaTrader 4 terminal choose “File” –“Login to trade account”, enter your login, password and choose IFC Markets-real or IFC Markets-demo server. Click on “Login” button, and the new account will be loaded into the platform and connected to the server. IFCMARKETS. CORP. holds professional lndemnity for Financial Institutions Insurance in AIG Europe Limited - by this link you can see the certificate of insurance. Traders' funds are kept segregated from the company's funds on a separate bank account and cannot be used by the company for any other purpose except for providing margin for your trading in financial markets.